Keeping your iPhone protected should be one of the things you need to do after getting one. 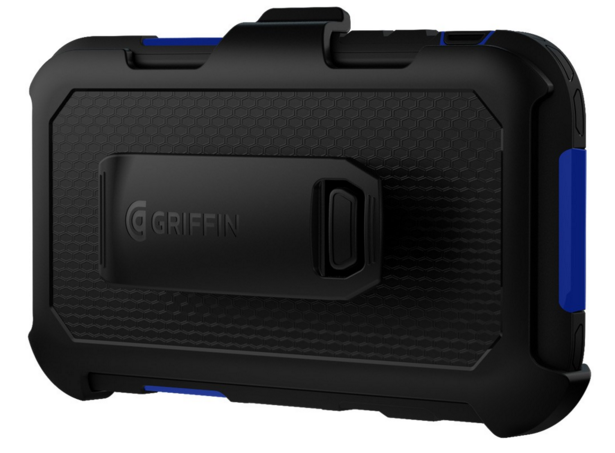 So today we will review the Top 5 Griffin cases for iPhone that provides the best protection. 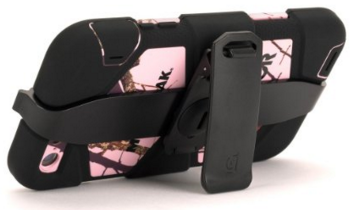 Griffin is a popular brand that has a very good collection of iPhone rugged cases to choose from. Whether your are going on hiking or camping, or you’re an avid traveler, or just simply at home or in the office, there’s a Griffin case that is designed for you. Each of the top 5 cases below has its own unique quality that you will surely like so let’s find out which one will best suit your needs. The most striking feature of the Survivor Core is its ultra-thin design and the awesome drop protection provided by the tough rubber material at the edges. 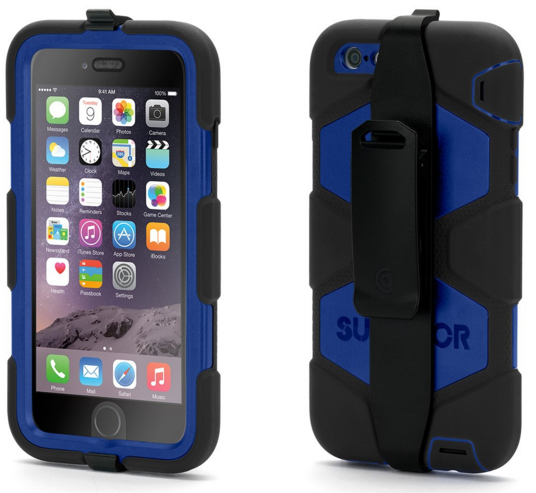 Like the other Survivor cases, it can provide up to 6.6 ft drop protection even onto concrete. What you will really like about this case is that it maintains the attractive looks of the iPhone because of its clear back and its slimness. This is perfect if one of the primary reasons you bought an iPhone is its design and color. I like that the case ridge is not protruding too much to maintain the slimness of the case. Although it’s not too visible, it can still provide protection to the display when dropped on a flat surface. When it comes to the retail price, it is cheaper than the Otterbox Symmetry Series case which is its closest competitor. But personally, I would go for the Otterbox Symmetry Series because I like a clear case with a higher degree of scratch resistance. 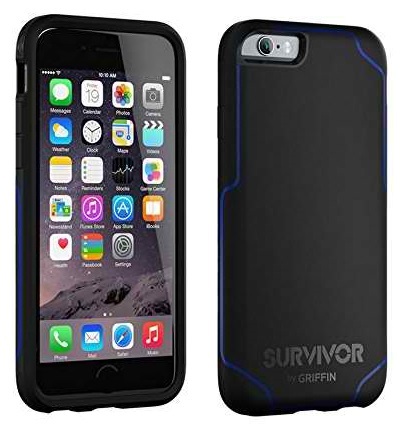 Survivor Journey is one of the slimmest case in the Griffin Survivor Series and also provides 6.6 ft drop protection even onto concrete. Although the same maximum drop height with the previous case, it can handle a more intense impact because of its Impact Dispersion System. What I personally like about colored Griffin cases is the long lasting color. Even after many months of use, it will still look good as new. I like the beautifully colored lines at the back of the case which gives accent and style. The case does not also come with a screen cover but you can buy a separate screen protector. The back is not made of clear material so scratches won’t be too visible like in a clear case. The retail price is $29.99 for iPhone 6/6s and $39.99 iPhone 6/6s Plus. I think it is worth the price. 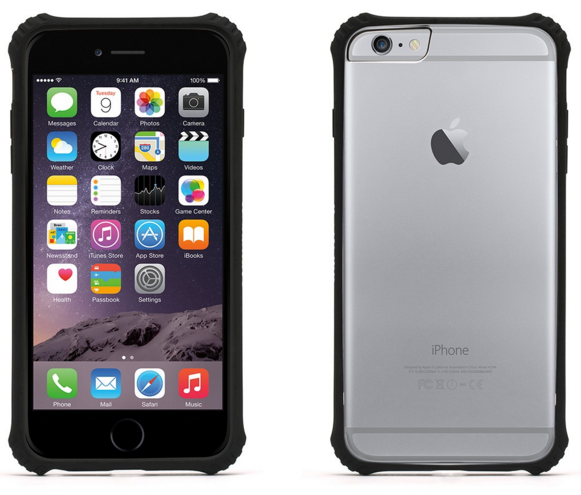 It is cheaper than the Otterbox Symmetry Series case which is also its closest competitor. If you want a discounted price, the online store of Griffin in Amazon makes lower offers. It is advisable that the product page should contain the clause “Sold by Griffin Tech and Fulfilled by Amazon.com” or “Ships from and sold by Griffin Tech” or “Ships from and sold by Amazon” to ensure that the case is 100% authentic. This indicates that you are buying directly from Griffin or Amazon and not from a third-party Amazon reseller. In summary, the Survivor Core is the perfect case for iPhone owners who do not want too much bulk but still have a high level of drop protection for their iPhone. 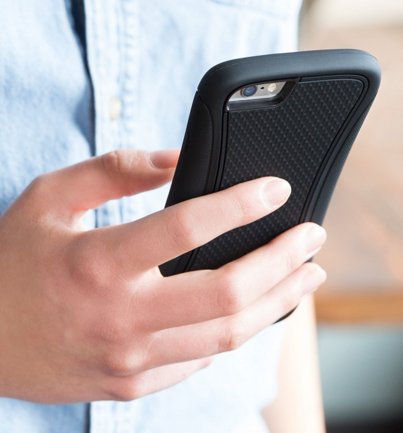 The most striking feature of the Survivor Slim case is its silicone jacket (1st layer) and polycarbonate shell (2nd layer) that can absorb up to 6.6 ft drop impact. The silicone jacket serves as the outer layer while the polycarbonate shell serves as the inner layer of the case that directly covers the phone. I got this case for my iPhone 6 Plus and I really like the silicone jacket because it’s semi-soft and provides a very good grip. A good grip is important especially for big phones like the iPhone 6 Plus so that it is less prone to drop. What is awesome with the silicone jacket is it does not easily stain. Even after 8 months of use (until I changed my phone model), the color never faded and it’s still as good as new. It is thin and fits into pockets. It may not easily slide in because of the texture of the silicone but the good thing is it will not easily slide out as well. It comes with a plastic screen protector but it is a little too narrow and not made of tempered material. You can buy a separate tempered glass protector instead. It will work fine with the case. 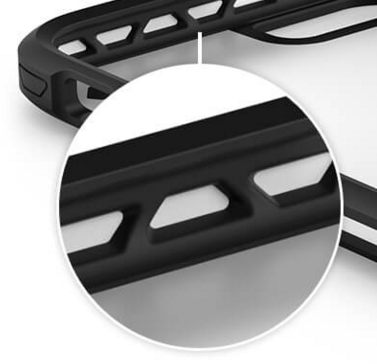 The silicone jacket will cover the edges of your tempered glass protector. This way you can already have your full protection from drops and scratches. The retail price is $39.99 for iPhone 6/6s and 49.99 iPhone 6/6s Plus. It is slightly higher than the Otterbox Commuter Series. But for the awesome drop protection and excellent design, it is still worth the price. If you think the price is a little high, the online store of Griffin in Amazon also makes lower offers for this case. Just take note above on how to ensure that you are buying 100% authentic cases in Amazon. Another cool thing is that unlike the previous cases, it provides dust protection with an IP5 rating, which means that dust will not be able to enter in sufficient quantity to interfere with the satisfactory operation of the phone. 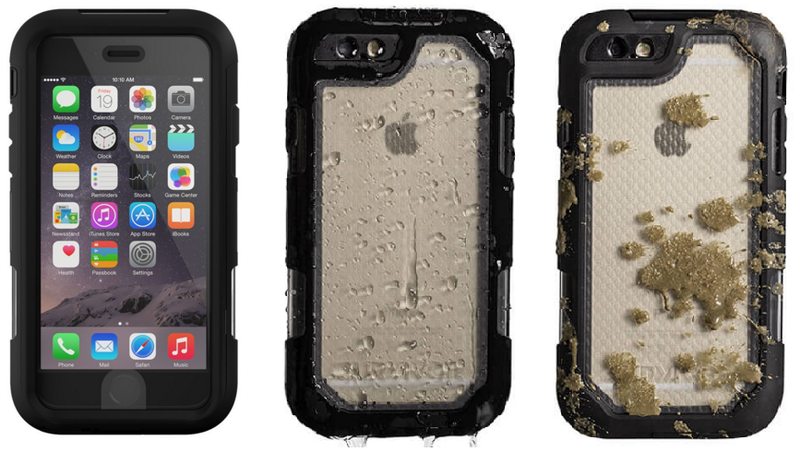 Another awesome feature of this case is that it provides water protection with an IP5 rating. An IP5 rating means that the device is protected from water projected by a nozzle (6.3 mm) from any direction. It also means that it is better than splash-resistant cases (IP4) like the Amzer Crusta. This is also its advantage over Otterbox cases because the Otterbox cases do not disclose any water protection. When it comes to size, compared to the previous cases, the Survivor Summit is quite bulky. This is very common to super rugged cases. There is also a very little gap between the screen and the screen protector which may bother some people. The retail price is the same with the Survivor All-Terrain but it’s cheaper than the Otterbox Defender Series. So for me, the price is worth it. 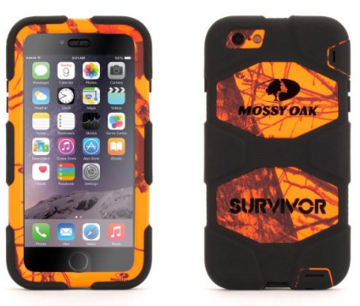 The Survivor Summit case is perfect if you are going out of town in a very harsh environment. It will protect your phone from rain, moisture, dirt, drops, and dust. If you are mostly indoors, I suggest you try the previous 3 cases instead. The most striking feature of the Survivor All-Terrain is its awesome military grade protection which is the best in the list. Your iPhone will be safe even if dropped up to 6.6 ft onto concrete but aside from that, it meets or exceeds the standards published in the US Department of Defense MIL-STD-810G for protection. Aside from the very high drop protection, it can also keep your phone away from dust and sand. It also provides water protection. Although not water-resistant, your phone will be safe from wind blown rain and wet dirt. 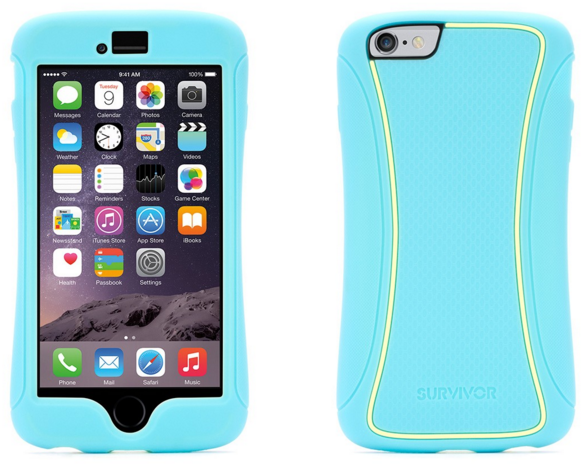 Because of its awesome drop, dust, and water protection, it is bulky in size like the Survivor Summit. Like the Survivor Summit and the Otterbox Defender Series, the volume buttons may become a little bit difficult to push. Also, due to the tightness of the case, it may reduce the volume of your calls. There is also a very little gap between the screen protector and the screen of the phone which may be a little uncomfortable for some people. I think this is common for super rugged cases. When it comes to the retail price, it is the same with the Survivor Summit and it is cheaper than the Otterbox Defender Series. Despite being cheaper than Otterbox, it provides better water protection and almost the same drop protection. In summary, the Survivor Summit will definitely provide the best protection you can have in a very harsh environment. It is also not a case designed for everyone. If you are always going out for adventure and you need your phone to be very well protected, this is the perfect case. But if you are mostly indoors, and the risk of dust and water damage is not much of a concern, the Survivor Slim, Survivor Journey, or Survivor Core would be a better choice.